What would happen if the Joker managed to break Batman? This fan-made comic brings the tale of legendary foes to a violent, but emotional, finale. 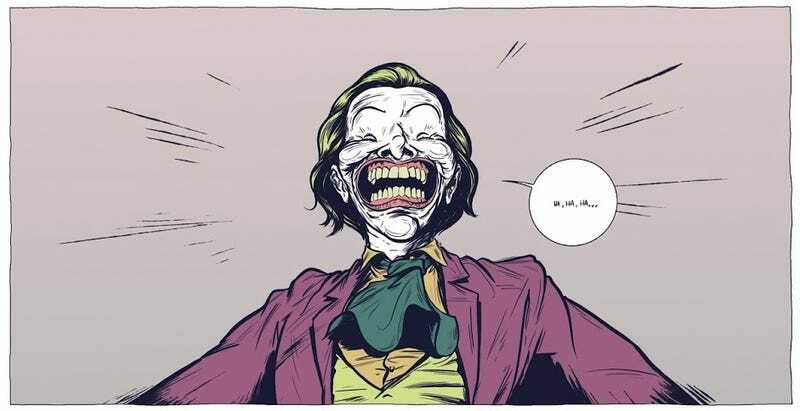 Written by Gerardo Preciado and drawn by Daniel Bayliss, The Deal is a fan comic that plays with the psychological interdependence that some (though by no means all) fans see in the Batman-Joker relationship, playing it to a crazed end. It plays like a particularly bloody and mad segment of Whatever Happened to the Caped Crusader? The Deal - Hat tip to Laura Beck!